Zen launched in 2011 by company owners David and Jen Woronets. 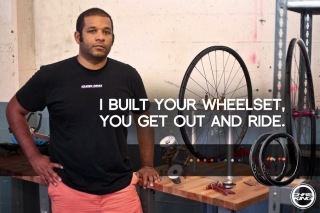 David was head of production for Vancouver Washington-based Ellsworth Cycles before going out on his own with Zen. According to BRAIN, the decision to close was based on a lack of business. “We built our facility based on maintaining a certain capacity, and we had too many months below that figure to continue… We wanted to maintain a 100-piece minimum order, but much of the interest is in runs of 10s and 20s,” Woronets told the magazine. The company had nine employees when it launched in 2011 but that number has since dwindled to five. North St. Bags owner Curtis Williams hopes to take out a “community sourced to keep his expansion on track. 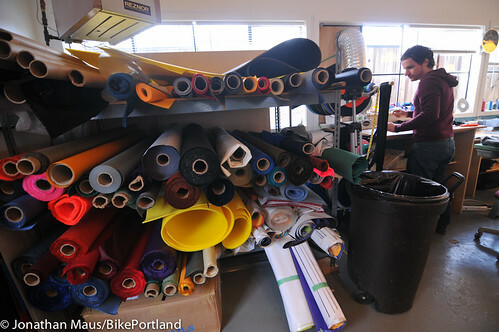 I’ve been gathering news tidbits about local bike companies for several weeks now and since today is National Manufacturing Day, I decided it was time to put it all together into a roundup. Chris King’s new wheelset offerings. Group shot of Zen Bicycle Fabrication, a new company that will begin making bike frames (O.E.M. for other brands in North Portland. The (somewhat mysterious) new O.E.M. * bicycle frame manufacturing operation we reported on last week has officially opened for business and released a statement with more information about their company.